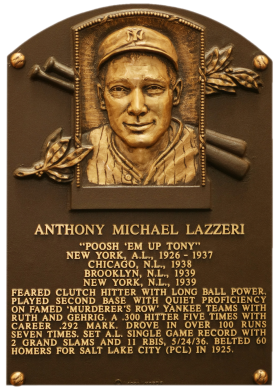 The second baseman on the "Murderer's Row" Yankee teams of the 1920s and '30s, Lazzeri combined power, high average, and slick fielding. 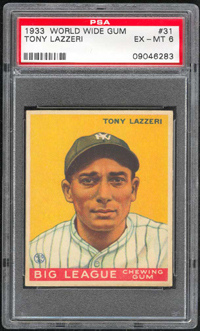 A career .292 hitter who socked 178 homers, "Poosh 'Em Up" topped the .300 mark five times, and hit .354 in 1929. 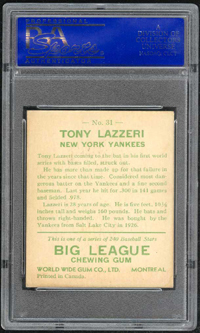 Description: Also known as "Canadian Goudeys", this 94-card set drew heavily on its U.S. contemporary. 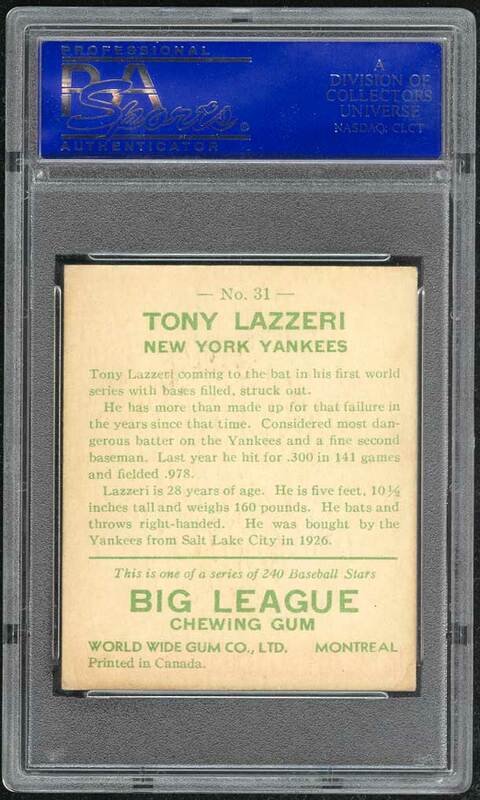 Card fronts are identical to the '33 Goudeys and the backs are nearly so. The first 52 cards in the set carry the same card numbers as their American counterparts, while cards #53-94 have different numbers than the U.S. version. Card backs can be found pritned entirely in English, or in English and French; the former being somewhat scarcer. Cards measure approximately 2-3/8" X 2-7/8".